Once a dog reaches the age of six months the time has come to start looking towards his future show career. For most dogs, aiming for challenge certificates and champion status is still a dim and distant dream - if a dog wins a challenge certificate before the age of twelve months it cannot be used towards the title of champion - so why not try and achieve his Junior Warrant? What is a Junior Warrant? A junior warrant is a title that all dogs between the age of six and eighteen months can compete for. Thought of as a junior championship it will show that your dog has the quality to hopefully go on to be a future champion in his breed. If a class is won at a championship show where challenge certificates (CC’s) are on offer in his breed then he will gain three points for winning a class. One point is earned for a win at a championship show without CC’s on offer for his breed or at an open show. If your dog wins best of breed at an open show he can claim one point if he wasn’t able to claim a point for his class win due to low numbers in the class. There has to be three dogs present in the breed before a dog can claim his points for winning a class. Read both the weekly canine publications carefully and look out for all shows that have classes for your breed. You may think that you have a whole year to gain twenty five points but competition is tough and time goes by so quickly. Enter as many shows as possible and as many classes as possible. In breeds that are numerically low in numbers you may be winning your classes but not have enough dogs present to be able to claim your points. Be a good sportsman, we all know stories of exhibitors not taking their dog into the ring in order to stop someone winning a point. Perhaps, if you know this happens in your breed, it may be a good idea to not tell others you are collecting points for the junior warrant. You can download a form from the Kennel Club website. When you have 25 points send the completed form to Clarges Street and it will be processed. Your dog’s name will be printed in the next Kennel Gazette and a certificate is sent for your records. It is advisable to print off the form when you are ready to start competing and keep your records up to date. While you are campaigning your dog you will be in the company of other exhibitors doing exactly the same thing. You will begin to share information and cry on each other's shoulders when the going gets tough. Once you have achieved your points step aside to give others a chance, unless your entry is needed to make up the necessary numbers – be thoughtful of other exhibitors. Also, remember the cakes and share your success! Once you have achieved the honour of a Junior Warrant with your dog you are entitled to have the letters ‘JW’ after his name. This will be shown in show catalogues and rightly shows that your dog is having a successful show career. You will find that when entering general open and championship shows that there are classes for junior warrant winners. 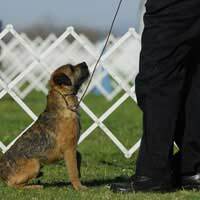 Highly placed dogs in these classes can then go forward to compete in the yearly Junior Warrant winner competition where the final round is held at Crufts each year. Winning a junior warrant gives your dog the right to entry in the stud book. Check with any breed club that you belong to as they sometimes give an award to dogs achieving champion and junior warrant status. Also, if they have a yearbook why not advertise your success? Self promotion is vital for the owners of winning dogs as it improves your chances of future wins and shows that you can breed or exhibit a successful dog. Quiz: Does Your Dog Have What it Takes to Be a Champion? What Makes a Champion Dog? We are glad you are enjoying showing your dog and the experiences this provides.